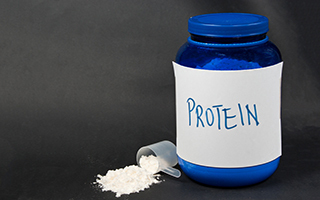 One of the biggest problems we have as we get older is digesting protein. That's the bad news. The good news is there's a way to increase your body's ability to digest protein. A new study shows how. Researchers studied a group of 44 young, healthy men. They put them all on a resistance (weight lifting) exercise training program for three months. Now, don't stop here. It wasn't just the exercise that helped. The researchers then gave half of them a protein supplement consisting of 27.5 grams of protein, 15 grams of carbohydrate, and 0.1 gram of fat every night before sleep. They gave the other group a non-caloric placebo. Before and after the experiment, they used whole-body, dual-energy X-ray absorptiometry to measure their muscle mass. They also assessed their muscle fibers using a muscle biopsy. And they measured the men's overall strength. Here's what they found. Overall muscle strength in the protein-before-bed group was twice that in the placebo group. The same was true for muscle mass. The protein guys had developed almost two times more muscle mass that the placebo group. As for muscle fiber content, the protein group had increased more than twice the amount of type II muscle fiber size than the men taking the placebo. The authors of the study point out that previous studies have shown that, "Protein ingestion before sleep increases muscle protein synthesis rates during overnight recovery from an exercise bout." What they didn't know was whether or not that would translate to bigger, stronger muscles. This study shows that it very clearly does. I have reported to you before how to exercise smart and get the same results from exercising half the time. Now this study shows us another trick to give us the maximum effect from our exercise efforts. Now here's an extra tip. The 27.5 grams of protein powder that they gave to these men was the typical kind of protein that is only 17% effective when it comes to muscle building. 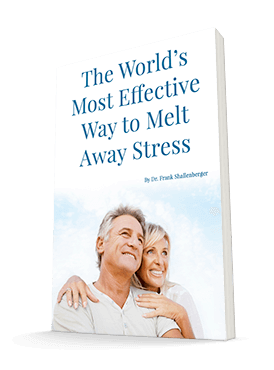 There are protein pills that are especially formulated to be close to 100% effective. They are called Perfect Amino (formerly MAP). I have reported on these pills before. And since they are so much more effective than the protein used in the study, you don't need much of them. Just taking five Perfect Amino pills will give you a little more muscle action than the 27.5 grams of protein powder used in this study. They are a lot easier on the stomach. We can change that sentence to read: You can order Perfect Amino by following this link. Oh, and one last note. Don't forget the 15 grams of carbohydrate. Carbohydrate causes an increase in the hormone insulin, which works to turn protein into muscle. So it's a perfect combination for the protein. To get 15 grams of carbohydrate, eat half of a small apple. Snijders T, Res PT, Smeets JS, et al. Protein Ingestion before Sleep Increases Muscle Mass and Strength Gains during Prolonged Resistance-Type Exercise Training in Healthy Young Men. J Nutr. 2015 Apr 29.